Lifeguard Certification Class is a blended learning class combining online and classroom training along with hands on skills and pool sessions. Completion of the class will provide a Lifeguard Certification plus CPR, First Aid, AED and Emergency Oxygen certifications. Minimum age is 16 by the last day of the class. YMCA Lifeguard Certification Classes are conducted approximately three times per year at the YMCA of Sequim. Additional classes may be added as the need arises. Registration closes February 20, 2019 to allow sufficient time for enrolled students to complete required online training before the class starts. Class: Seven Thursdays and two Saturdays. Please ask for a syllabus for more details. Please see a Member Service Representative at the YMCA of Sequim or click the link below. This class includes online training, classroom training, and pool training. Pre-class swim workouts are available for anyone who needs to improve their swim skills prior to the class. Taking the class does not guarantee certification and completing the class does not guarantee employment. 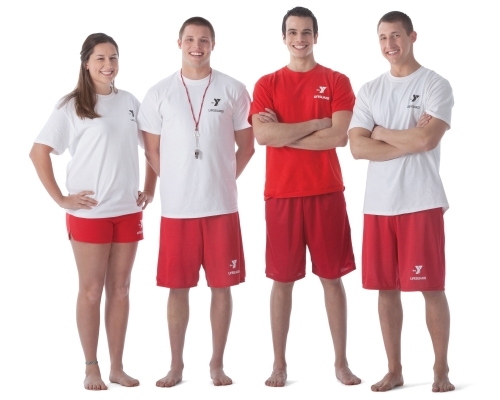 The YMCA of Sequim Lifeguard program is highly competitive and we are looking for respectful, responsible, mature candidates with a good physical skills to join our team. If you are interested in becoming a YMCA certified lifeguard, you may sign up at the YMCA of Sequim at any time. Students must be at least 16 years old by the last day of class. Students must be able to demonstrate swimming skills by passing a swimming proficiency test prior to starting the class. This is a "blended" format class, consisting of online training, classroom sessions, skills training and pool sessions. All phases of the class just be passed in order to obtain certification. Contact our Lifeguard Coordinator, Gail Sumpter for more information. The Olympic Peninsula YMCA is a nonprofit organization. We work side-by-side with our neighbors to ensure that everyone, regardless of gender, income or background, has the opportunity to live life to the fullest. Thanks to the generosity of your local community, the Y offers member support to any individuals or family who needs a little extra help. Complete this Member Support Application and return this to the Y along with proof of income to see if you qualify.